Designed inside and out for performance and security. Core has a built-in dual core processor at 1.7GHz and more memory and flash storage than typical routers, to ensure optimal performance for WiFi and security features. Core simultaneously transmits at 2.4GHz and 5GHz, so your devices connect to the best available band. Core supports speeds up to 2.5 Gbps1—ensuring blazing fast 4K streaming and lag-free gaming. Welcome to the Internet of (safe) Things. All it takes is one compromised baby monitor or smart thermostat for cybercriminals to infiltrate your network and reach your online data. Core discovers smart devices, identifies vulnerabilities, and helps secures them all. If a breach is detected, Core quarantines the threat. The joys of parenting: here’s one more. Internet time. Family time. Only you know the right balance. 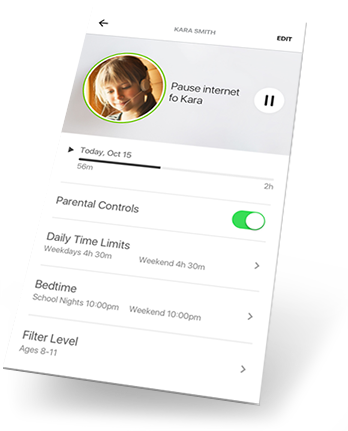 So we created a set of flexible, powerful tools for parents to monitor and manage screen time by person, control time limits by device, and set content filters. You can even pause the entire network. And the app is about as easy to use as a light switch. Your favorite devices get dibs. Want to dial down your game console and supercharge your movie? No problem. Give priority to any device or activity in the house with the touch of a button. Complete device protection with award-winning security. Guest access so good you’ll want to invite people over. Easily, create secure guest networks. Even set a time limit. When time is up, simply extend access or let the guest network disappear. 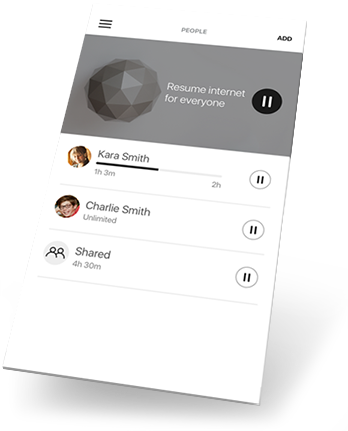 Manage your entire home network, right from your mobile devices. With a single tap the app shows you exactly what devices are on your network at any given time, with real-time upload and download speeds. It even gives you the power to adjust WiFi settings and block suspicious behavior—from anywhere. 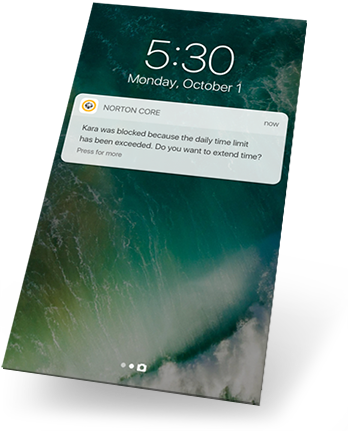 See how Norton Core stacks up. Protect your home. Get Core. Be the first person on your block with secure WiFi.